Perfect Uninstaller is a better and easier way for you to completely uninstall any unneeded application that standard Windows Add/Remove Program can't remove. Have you ever been bothered with software applications that can't be uninstalled by the standard Windows Add/Remove Programs? You are the right place! • Forcibly remove unwanted programs that cannot be uninstalled completely from "Windows Add or Remove Programs" control panel applet. • Completely remove Adobe Reader, McAfee, Aol Toolbar, AVG Anti-Virus, Norton 2006/2007 and much more difficult to completely uninstall applications! Start your free trial now! With Perfect Uninstaller, you can uninstall any unwanted applications in your system easier and faster. The standard Add /Remove Program can not often completely uninstall all applications and broken registry keys.Unlike your own PC Add/Remove Program , Perfect Uninstall can not only uninstall the applications , but also clean the registry files left over themselves. It will protect your PC from corrupted registry errors , improving your PC performance and speed ! • Faster than the standard removal applet that comes with Windows. • Provide different ways of application view to accord with your use habit: by Icons, by List, by Details. • Remove programs that could not be removed by Add/Remove program. • Completely clean the empty / corrupted registry entries that a certain application left over. 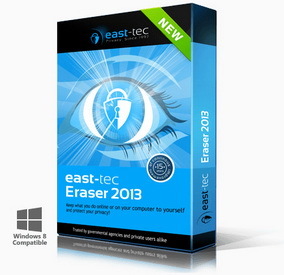 • Protect your registry from empty / corrupted errors and improve your PC performance. • Forcibly remove hidden application installed in your system. • Fast point to the folder where application installed..
• Check details of a certain program installed in your computer to decide whether to uninstall it or not. • Easy of use and friendly user interface. • Show details about currently installed applications. - Add the widescreen function of the programs list and the Process Manager to identify the processes on your computer.